Sit back and let that saturate for a moment. 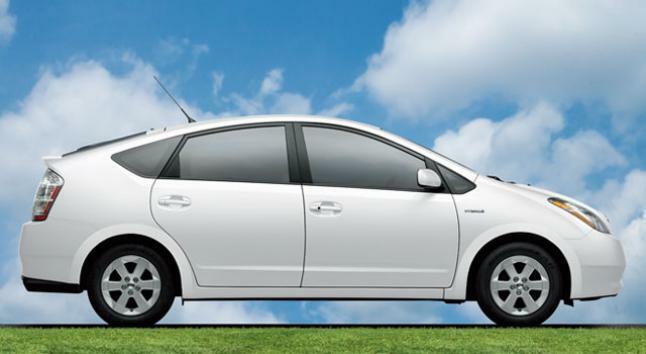 According to Toyota’s big cheese, the Prius has saved 1.1 billion gallons of gas, 16 million tons of CO2 and $2.9 Billion in fuel costs since 2000, compared to conventional combustion vehicles. And this is merely a hybrid we’re talking about! Can you imagine the impact on foreign oil dependency if this entire country drove EVs? Due to the rattlesnake grip foreign oil has on our country, gas is only going to climb in price within the near future. And as it climbs, more drivers are going to be throwing in the Petrol towel and seeking refuge with a Hybrid or EV blanket. Toyota will be releasing 19 new or updated vehicles this year and almost half of them will be hybrids or EVs. Inaba retrogressed to the mid-2000’s when the Prius was first being launched in the US and everyone thought the car was a silly idea. Toyota recently sold its millionth Prius in the US, which is a gleaming indicator that our need to seek refuge from foreign oil dependency and skyrocketing gas prices is at a critical level. Amidst plans to improve aerodynamics for better gas mileage and satiate the environment via plant-based interior components, Inaba hinted at plans to produce a zero-emission, hydrogen fuel cell vehicle in 2015. But the environment is not the only entree on Toyota’s menu. The company is developing an iPad-like console for all-touch navigation, wave switches that operate touchpads even when you have gloves on, cameras that replace inner and outer rear-view mirrors and even steering wheel health monitors. What do you think? Should we all drive Priuses or other hybrids/EVs? Check out the entirely of Inaba’s speech below. Yoshi Inaba, President & COO, Toyota Motor North America, Inc. Thank you very much, Charlie…and good afternoon everyone!It is GREAT to be back in Chicago!This is where I landed on my very first trip abroad, on my way to the Kellogg School of Management in Evanston. As a result, Toyota management knew there would be a need to transfer talent overseas to support the company’s international growth. So the time I spent in the Chicago area…and my studies at Kellogg…had a great deal to do with the direction of my life. Over my forty-plus year career, I’ve never lost my passion for the auto business…and I must tell you…I am more excited about the industry today than EVER. Let’s start with meeting environmental and energy needs. But fossil fuels are tough on the environment…and supplies are not keeping up with growing world demand as countries like China, India and Brazil develop into industrialized nations. So, if you see a hybrid car on the streets of Chicago today, chances are one in two that it’s a Prius…and seven in ten that it’s a Toyota or Lexus. • 16 million tons of CO2… • And $2.9 Billion in fuel costs. The Prius c is a small, sporty fun-to-drive hybrid with great technology…the highest city mileage… and lowest price for any hybrid without a plug. You may know that Toyota directly employs more than 30 thousand Americans…and that our total U.S. investment stands at 18 billion dollars. That’s great news for this region…for our American customers…and for the U.S economy because every auto job creates three-and-a-half “spin off” jobs that support those workers. Our exports of “made-in-America” products to 21 countries have topped 100,000 vehicles…and we’ve just begun exporting American Camry sedans and Sienna minivans to South Korea. We’re entering an era of innovation that will significantly alter transportation in the 21st Century. I can’t promise you flying cars or Star Trek remotes that beam you up. But I CAN promise you that Toyota and the rest of the auto industry will be eagerly developing cars that look great…are fun to drive…easy on fuel and the environment…AND will help us reach our dreams in the future.